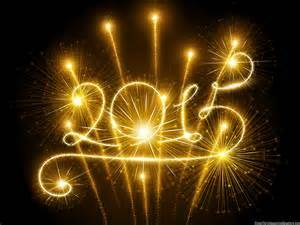 I am welcoming 2015 with a renewed sense of hope and wonder. Welcoming a New Year with all of it’s challenges and opportunities. When your heart has known the worst possible sadness because of loss you learn very quickly the value of life. I have survived the death of my one true thing in this world and dare I say, come out on the other side much stronger, wiser. I know I have a greater appreciation for life. David will always be with me, my memories are long – he’ll always be with me in my heart. 2015 begins a New Journey for me – grasping at anything good, practicing joy with a heart of gratitude. Grieving is exhausting but a necessary process when you lose someone you love – I have come to know a new strength because of the process. I love my husband beyond the words expressed in these pages – within this blog and choosing to move boldly into a new future does not diminish his importance in my life or the love we shared, my love for him in our 30 years together – I have faith that I’ll see him again one day. I have learned that life doesn’t always turn out the way you planned but that I still have a choice in how I will live the life that I have been given. I want to be able to look back and know that I chose to live a full life – despite death and what it has taken from me. I love the community of people that are in my life today I am careful that they know it everyday. I don’t take life for granted and I no longer feel guilty for wanting to be happy and I am finding joy again in my life. Although it’s a different life, it’s a good life and I am eager to see what awaits me in my adventure of new experiences – in this New Journey of mine.